Otto's Deli Fresh is located in Raffles @ Holland Village, 2nd Level. 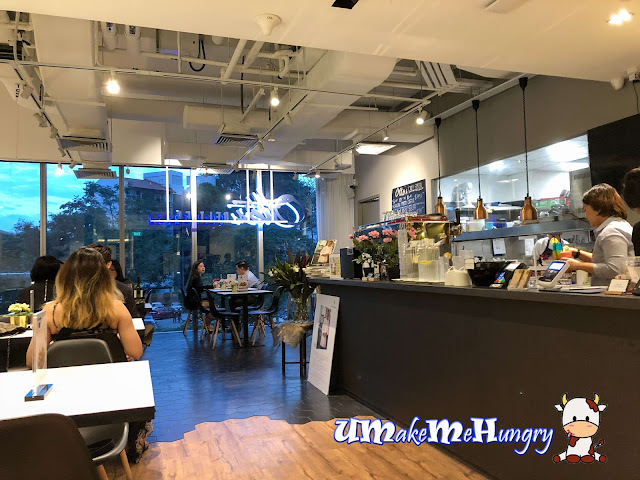 It is easily accessible with the help of MRT Circle Line as public transport is just a stone throw away. For quenchers, we have 2 glasses of recommended drinks by the servers. 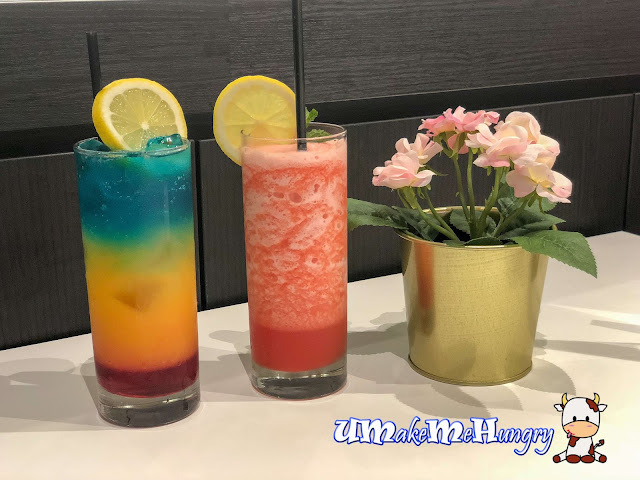 Sunshine Paradise comes with different layers of soda colored drink, which makes one feel delighted with its enjoyable colors. I had not enjoyed a satisfying pasta for such a long time and this literally had my stomach at first mouthful. 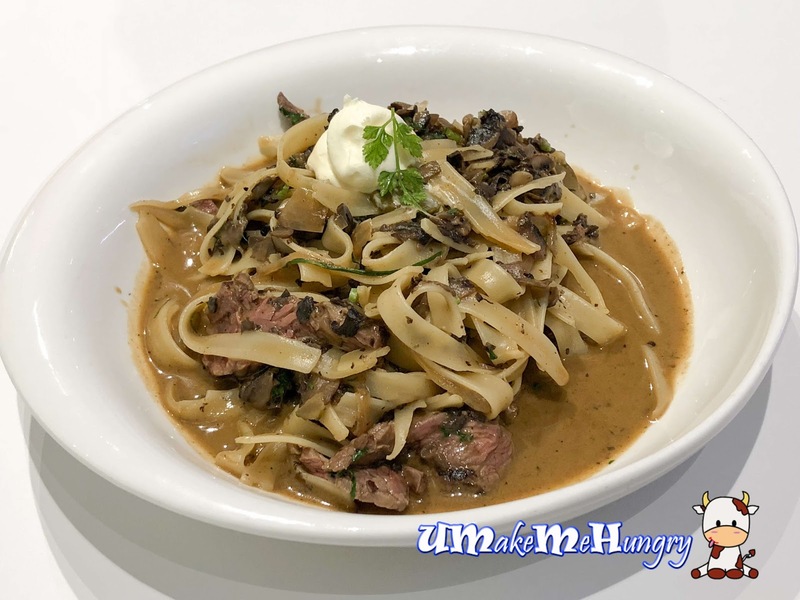 Beef was tender and juicy in the right thickness while Fettuccine was in its Al Dente Texture with ingredients such as button mushroom, sour cream, Cornichon & Parsley. Recommended! 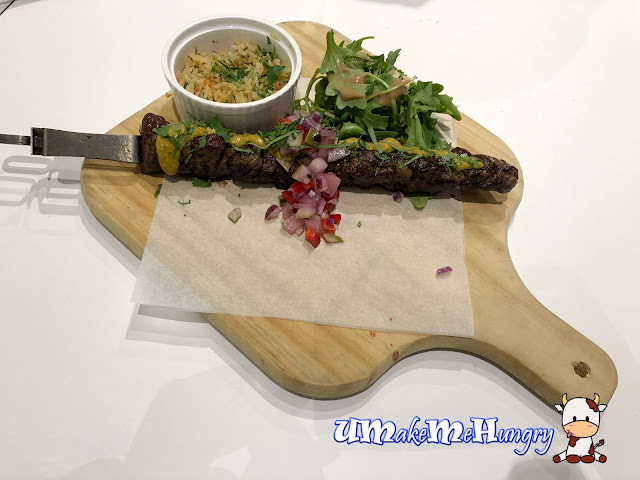 The beef on the skewer was well marinated, though it went under the flame, the meat remained juicy topped with Chimichuri, Garlic Risoni, Pineapple and Red Onion Salsa. 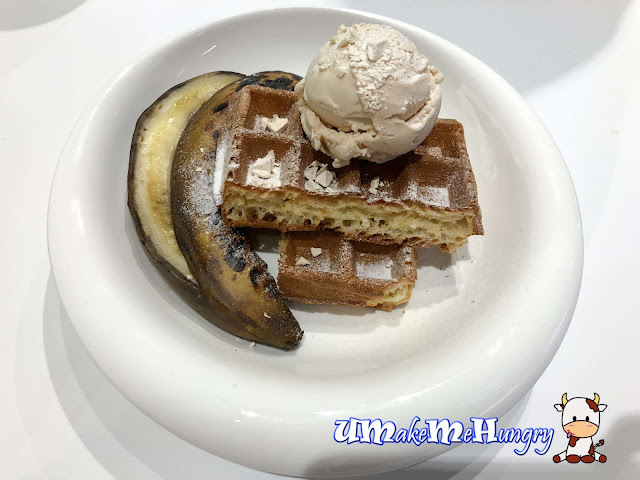 Ending our dinner in sweet notes with their Burnt Banana Waffle. Dont worry, the banana is not rotten. In fact it is Freeze Dried Banana that was burnt in its skin. We peeled off the black skin and enjoyed the Waffle topped with a scoop of cooling Peanut Butter Gelato. 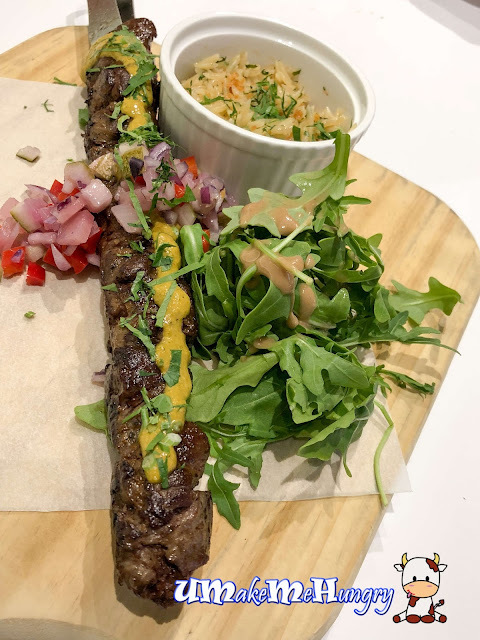 Overall, I find that the mains provided by Otto's Deli Fresh are scrumptious and worth the money spent. It will be great to be back again for other stuff.